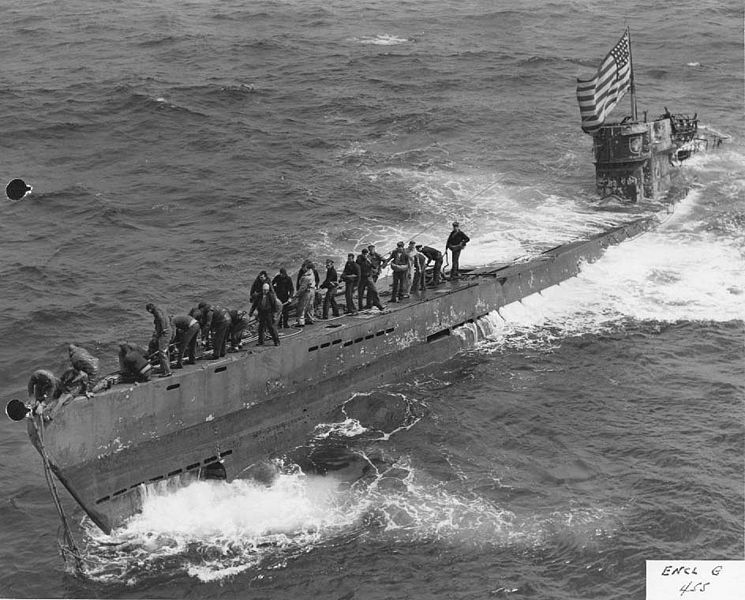 U-505 after its capture, a submarine of the same class as U-513. Death came from above for U-513 on the 19th of July 1943 when it was surprised by an American aircraft. The PBM Mariner dropped bombs on U-513 which was heavily hit, and of the 53 crewmembers only seven survived. The wreck of the U-Boat has been discovered 120 km from the Brazilian city of Florianópolis at a depth of 75 metres. This is the first of eleven German boats discovered that were sunk by the Allies during WWII. U-513 was a boat of Class IX-C, next to be built and both larger and heavier than the Class VII. U-513 had a relatively short time in service, beginning with training in January 1942, after it was sent to the front in September the same year.